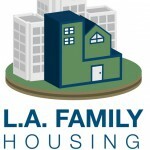 LAFH is gearing up for another great event – their annual fundraiser – on April 24, 2014, and will honor Los Angeles County Supervisor Zev Yaroslavsky as well as the individuals and corporations who have contributed to eradicating homelessness and poverty in Los Angeles. More than 500 prominent community, business and entertainment industry leaders are in attendance; the event sells to capacity each year and features a signature cocktail reception with hors d’oeuvres and food stations hosted by renowned chefs, a celebrity red carpet, entertainment and auction. Funds raised help us make a difference in the lives of our community’s most vulnerable families and children. So whether you are a local in LA and able to attend this big ticket charity shindig, or in some far flung area and only able to participate in the online auction, know that it goes to a deserving charity.